Social media continues to transform the way we communicate, as people across the globe are engaging in new conversations every day. Brand communicators are using the power of social media to reach audiences and influencers with relevant content that can position them at the center of it all. 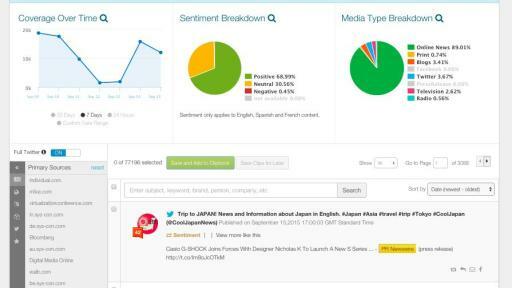 Social media monitoring is critical to the immediate discovery of influential topics affecting an industry or brand. 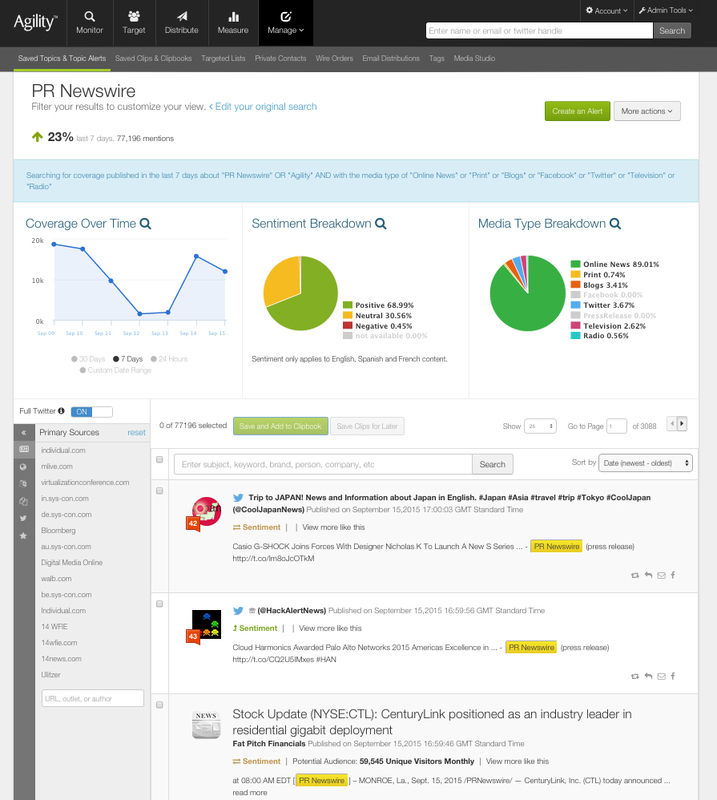 PR Newswire is helping PR and marketing professionals uncover these conversations with the Agility workflow platform. Through a new agreement with Twitter, PR Newswire’s Agility platform now offers access to all publicly available Tweets, allowing communications professionals to listen to important social chatter as it unfolds. 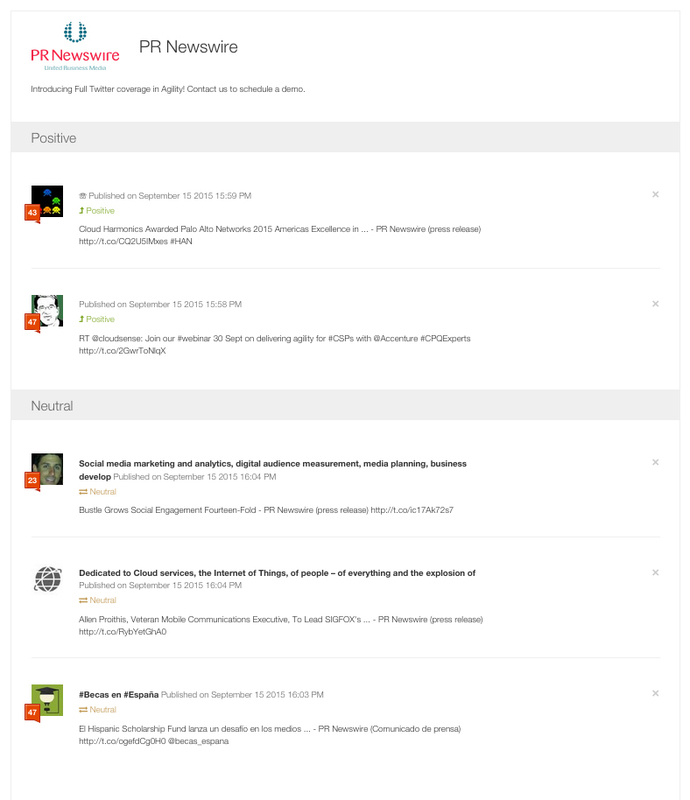 Users can save search terms on any topic—including hashtags—to monitor tweets, and the inclusion of Klout scores allows communicators to identify top industry influencers that are talking about their brands. 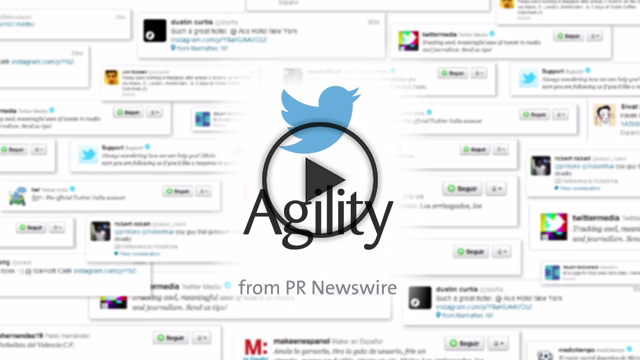 Agility users have the ability to adjust Twitter monitoring settings for topics and alerts to better manage volume and noise. Premium Twitter: See every single tweet from all public users containing saved keyword topics, for a real-time look at conversations around your brand. 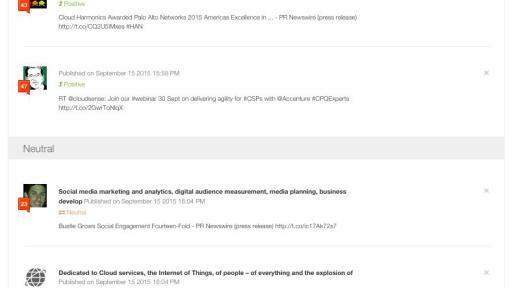 Sample Twitter: Obtain a unique view into emerging trends and high-level concepts through a curated feed of editorially selected Twitter content about chosen industry topics. Historical Data: Users can store saved content for up to 14 months and perform historic searches on transcripts for up to six months.